To create unique features, many of our clients prefer skylights. They are a great way to open up any space by incorporating natural overhead lighting. We have vast experience any type of skylight imaginable: roof lanterns, residential, commercial, and institutional applications. Designs range from simple single slope skylights, otherwise known as roof windows, to double pitch, segmented barrel vault, true radius dome, to curb mount, pre-glazed skylights in various configurations. 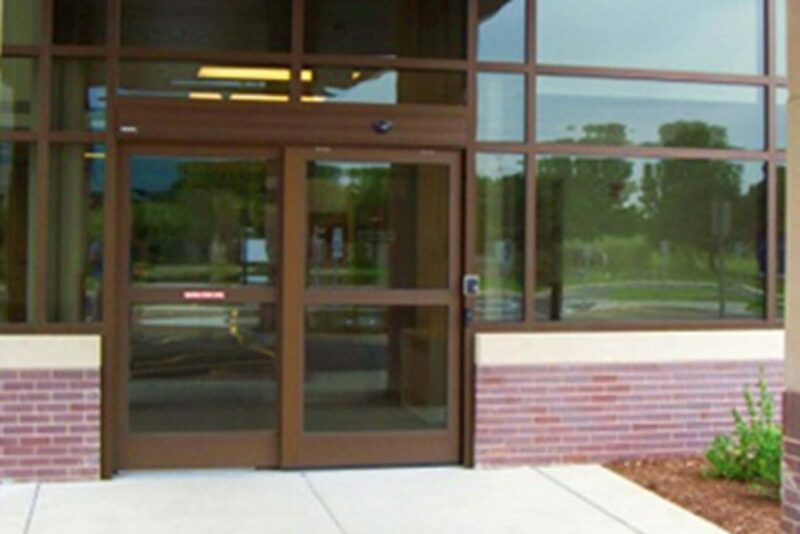 Capital Glass is a dealer in a wide variety of specialty glass such as Bullet Resistant and Fire Rated glass and assemblies. Most buildings require some fire rated glass and or doors and frames; we provide extensive knowledge and assistance with this type of glazing. Capital Glass recognizes that projects come with budget constraints, and the expense of these types of products can often be tremendous. With Capital Glass you have the comfort of knowing that you will meet or exceed the code requirements for the least amount of money. 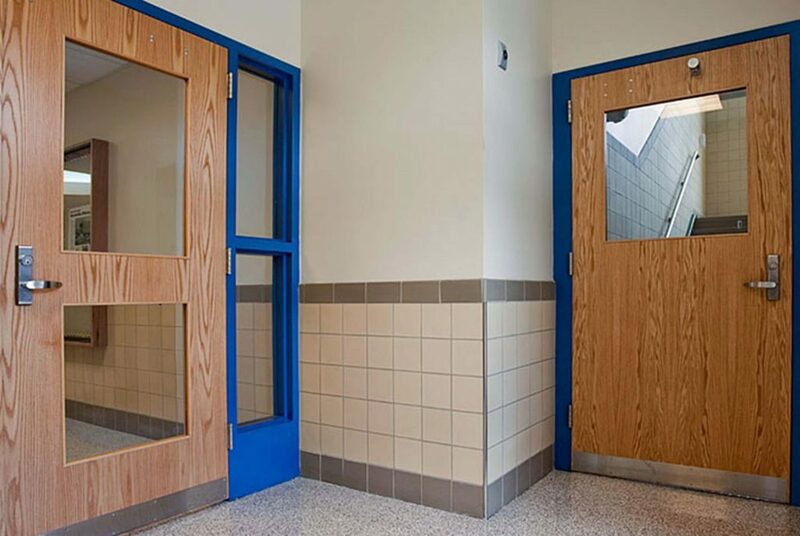 Bullet and or Attack Resistant glazing also require that the company you are dealing with has the experience and knowledge necessary to perform on the project from design to install. The vast array of products and the corresponding prices requires a company like Capital Glass to make sure that someone is looking out for your best interests. 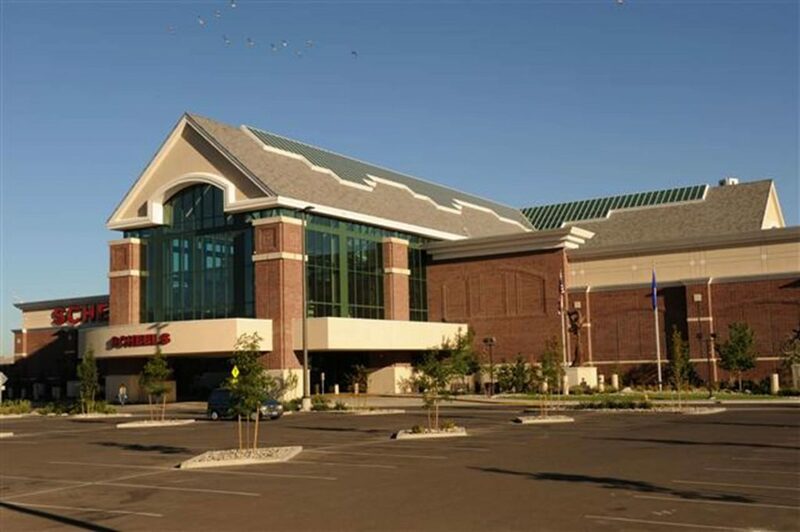 From police stations, teller windows and yachts, Capital Glass has the experience and knowledge to help with the smallest project to large scale design/build projects. Over the past few years, Capital Glass has become the region’s top contractor for panel cladding systems. We have successfully completed many projects, and have gained the trust and confidence of our customers and dealers in handling all types of panel cladding systems. 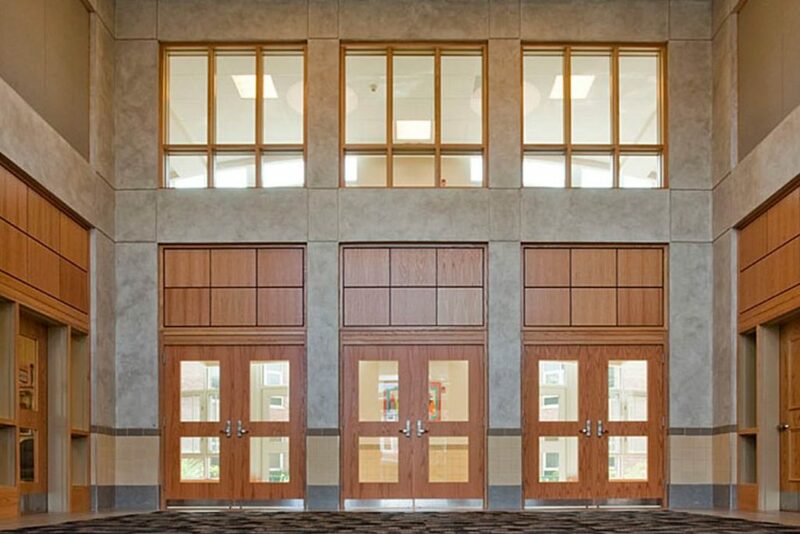 There are many similarities between successfully setting up and installing a Panel Cladding System and a Storefront or Curtain Wall System. With both systems the initial set-up and lay-out is critical. There is little room for error and having a contractor with the right tools and experience to handle such detail is the key to a successful project. Panels are quickly becoming architects’ number one choice for cladding a building. Using panels as an exterior wall application is a great way to extend the life of your building while reducing maintenance costs. 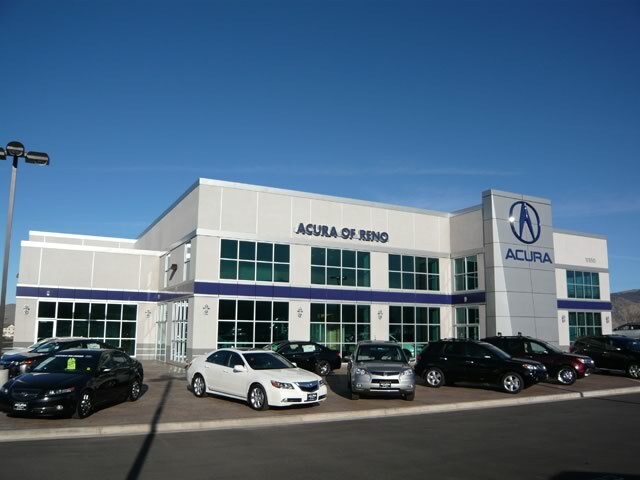 Our lines of highly durable panels shield the inner structure from the damage caused by the elements. They offer beauty, durably, a wide range of color and finish options, and are an extremely environmentally friendly product. 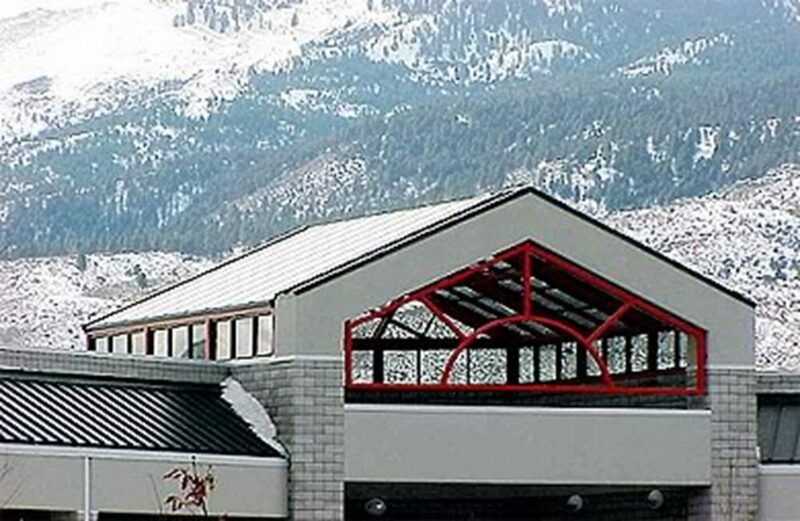 These lightweight panel systems are extremely durable and will stand up to the test of time. Aluminum Composite panels can be cut, curved, and bent to meet the requirements of almost any cladding project. Installing an Aluminum Composite Façade to an existing building will make it look new without major structural changes, and is an extremely cost effective option in comparison to many other cladding options. Ventilated cladding offers a unique way of ensuring an energy efficient structure while extending the life of your building and reducing maintenance costs. 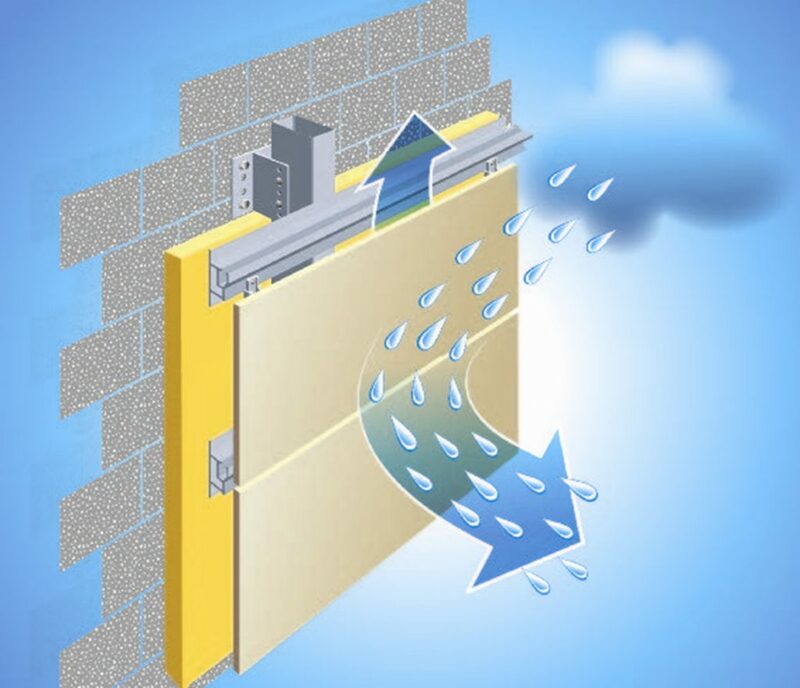 Panels can be installed so that there is a space between the structure’s outer wall and the cladding system. Air moves through this space which cools the building in the summer, and removes condensation from the building in the winter or during weather storms.